Natural skin care products seem like such a sensible and serious investment in our own health in these days of toxins in the environment. We can’t always avoid things outside of our control but by taking charge of what we put ON OUR SKIN, we can a lot of good work. I got started with this because I had sensitive skin, but honestly, once you start reading up about what the big companies put in their products, you may also be encouraged to try to make some of your own products. I even make my own sunscreen now. Wouldn’t you prefer to put that on your baby’s skin than a mouthful of words you can’t even pronounce? This was my Christmas gift of the year for Christmas 2011. 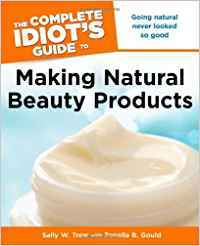 This wonderful book There’s Lead In Your Lipstick by Gillean Deacon explains and exposes much more that just the makeup industry. 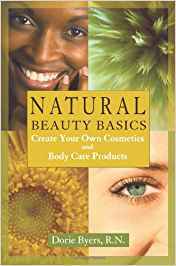 This book speaks about body care products all the way from baby powder to soap, deodorant, shampoo, skin creams, makeup and even men’s body care products so there is really something here for every body. She explains so well why we should avoid products like petroleum products in our skin care and opt for other safer sources. Wouldn’t you rather have ingredients on your body that you could almost eat? 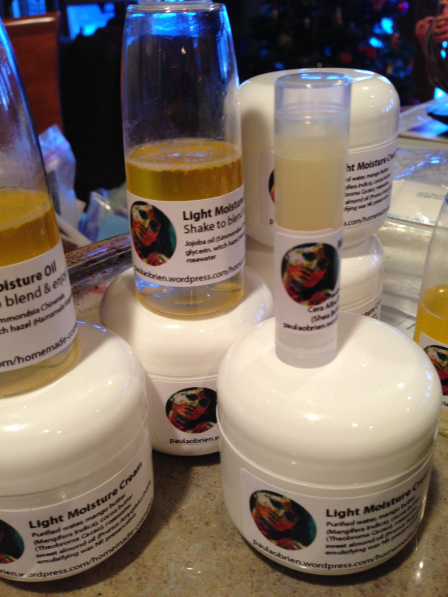 Wouldn’t you rather put some kind of vegetable or nut oil on your skin than mineral oil? We are more than just what we eat, we are also what we absorb and our skin is our largest organ. 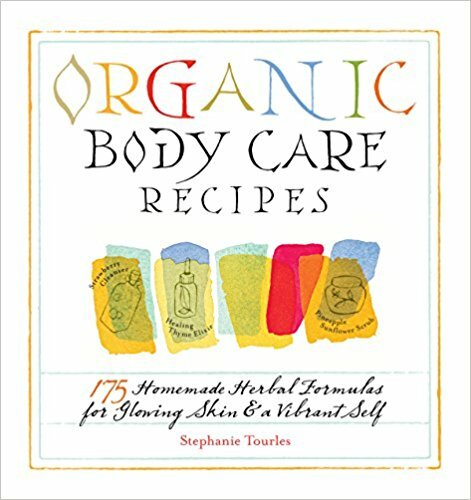 Information about all the ingredients themselves plus lots of recipes and how-tos for all kinds of skin care products. Once you start, it’s easy to make small changes and really make a difference to your own health. We can’t control our entire environment but we CAN make healthy choices about what we eat and put on our bodies. Doing it yourself, so much fun & you know exactly what ingredients there are! See that long list of ingredients on the back of the bottle? Some probably aren’t as safe as you’d hope. The Campaign for Safe Cosmetics is a coalition effort launched in 2004 to protect the health of consumers and workers by securing the corporate, regulatory and legislative reforms necessary to eliminate dangerous chemicals from cosmetics and personal care products. The Coalition for Consumer Information on Cosmetics’ (CCIC) Leaping Bunny Program administers a cruelty-free standard and the internationally recognized Leaping Bunny Logo for companies producing cosmetic, personal care, and household products. 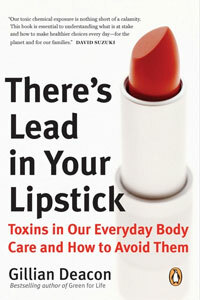 How you can take action against toxins in your personal care products. How should I dispose of old cosmetics? One idea, among others, is to give them to local theatre groups. Health Solutions, Easy Recipes and Fun Ideas to help you live healthier without the stress.